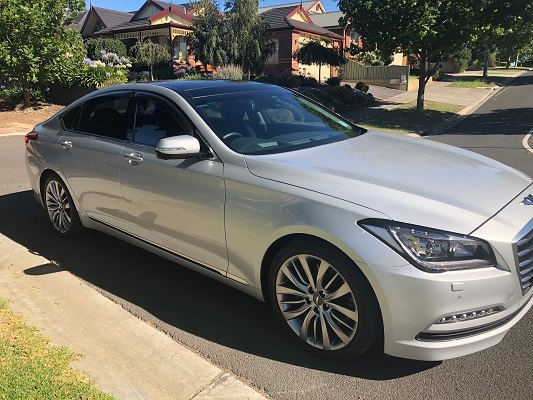 Take a look at our 2017 Silver Genesis G80 that is available to hire for any occasion. 5-seater sedan, with seating for 4 passengers. With its sleek lines, our Silver Genesis G80 sedan is ideal for a high impact arrival! This statement vehicle includes DVD player, Bluetooth stereo system and leather interior. Our silver sedan hire package includes a professional chauffeur who will cater to all your individual needs, a red carpet, ribbon and umbrellas. This is a one-of-a-kind car… we have one in-demand silver Genesis G80 sedan available for hire. 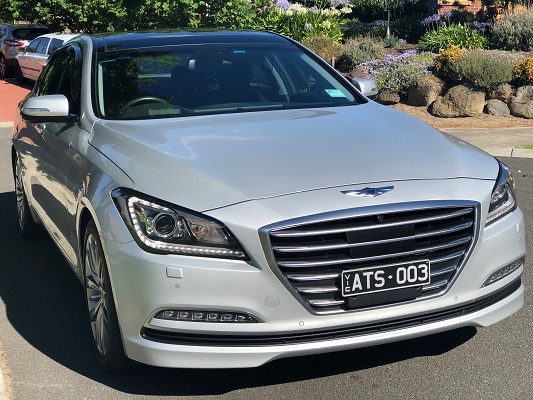 To enquire more about 2017 Silver Genesis G80 from A Touch of Silver Limousine Hire, or for any other Limousine Hire enquiries, please give us a call on 03 9333 4198 or get in touch through our Contact Us form.